C&IT compares some of the alternative C&I destinations in California including Santa Monica, Santa Barbara and Anaheim. 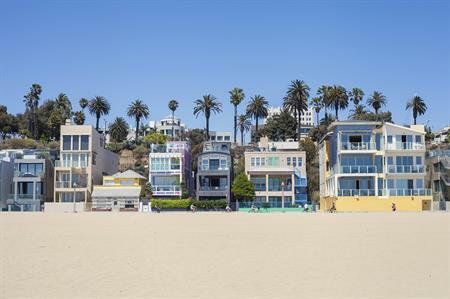 It runs from Hollywood directly to the beach and is one of the most well-known roads in the world, but few will be taking the Santa Monica Boulevard now. Not since the launch of the Metro Expo Line, a rail service that connects downtown Los Angeles with Santa Monica and greatly increases accessibility. Shutters on the Beach is Santa Monica’s laid-back five-star boutique, offering 198 bungalow-style rooms and suites, in addition to three restaurants suited to relaxing lunches and fine-dining. For a resort-style option, the four-star 302-room Fairmont Miramar Hotel & Bungalows includes a spa and 3,200m2 of meeting space. If they’re not on the beach, then the crowds can be found on Abbot Kinney Boulevard where food trucks, art galleries, boutique shops, vegan pizza places and sake bars line the streets. See it all on a two-hour bike tour with Bikes and Hikes, and even pay a visit to body building Mecca, Gold’s Gym. Drive 95 miles north of LA and you will arrive in Santa Barbara, also known as the American Riviera, where the California coastline is at its opulent best. A host of five-star resorts bask under the year-round sun while the luxury of having both the Pacific Ocean and the Santa Ynez Mountains on its doorstep provides an envious breadth of activities. The 207-room Four Seasons Resort, The Biltmore Santa Barbara has existed since 1927 when it was a Spanish colonial estate. The 22-acre grounds sits adjacent to the renowned Coral Casino Beach and Cabana Club. Only open to private members and hotel guests; don’t be surprised to be toasting cocktails beside Hollywood elite. While golf remains a celebrated tradition, the mountain range offers plenty of exciting experiences. Local specialists Vino Vaqueros offers tailored Ride & Wine packages combining horseback excursions through the Estelle ranch with trips to the local vineyards. Anaheim is located between Los Angeles and San Diego in southern California and is best known for being the home of the Disneyland Resort and the west coast’s largest convention centre. The city is expanding its appeal with the regeneration of its downtown neighbourhoods, which include award- winning breweries and museums. The location of the Anaheim Convention Centre means the city centre boasts a plethora of both modern and large-scale hotels, including the 1,030- room Anaheim Marriott and the 653- room Hyatt Regency Orange County. The more incentive-focused options exist mostly around the Huntington Beach area, such as the luxurious Hyatt Regency Huntington Beach Resort & Spa. Anaheim is an epicentre of excitement where groups can choose to spend days on end at the Disneyland Resort or enjoy a day at a baseball game, courtesy of the Angels. Just less than 30 miles west however is the beach where groups can embark on whale and dolphin cruises or spend an afternoon exploring Orange County’s famed coastline.